Further remembrance ceremonies will be held in other Illinois locations. For example, Central Park in downtown Decatur, Illinois was scheduled to hold a lunchtime picnic and ceremony to honor Central Illinois first responders and commence advocacy for the construction of a permanent 9-11 memorial in Macon County. The Decatur memorial is scheduled to contain a physical fragment of the World Trade Center. Comptroller Munger says Illinois’ backlog of unpaid bills could top $8.5 billion without a State budget. Munger’s concerns follow moves throughout the summer of 2015 by advocates of various spending and policy programs to place various Illinois big-budget spending programs, such as Medicaid payments to residential care facilities, on “automatic spending” status pending the enactment of a budget. These statuses have, in many cases, been backed up by the judicial branch in the form of court orders and references to various consent decrees previously signed by the State. With money being spent at FY15 rates and State revenues coming in at FY16 rates, cash outflow is exceeding cash inflow. The Office of the Comptroller, the Governor’s Office of Management and Budget, and other State agencies are responding to this asymmetry by prioritizing the speed with which bills are paid; many bills are going unpaid at this time. The $8.5 billion figure is a cumulative figure representing the Office of the Comptroller’s estimate of where the unpaid-bill total will be on December 31, at the end of the 2015 calendar year. New 9.0% city tax on video streaming access services is challenged by lawsuit. The new 2015 levy, imposed by Mayor Rahm Emanuel, taxes subscription access to Internet video and audio services such as Netflix and Spotify. Defenders of the new levy call it an extension of existing taxes levied by the city upon cable TV, phone service, and live entertainment. 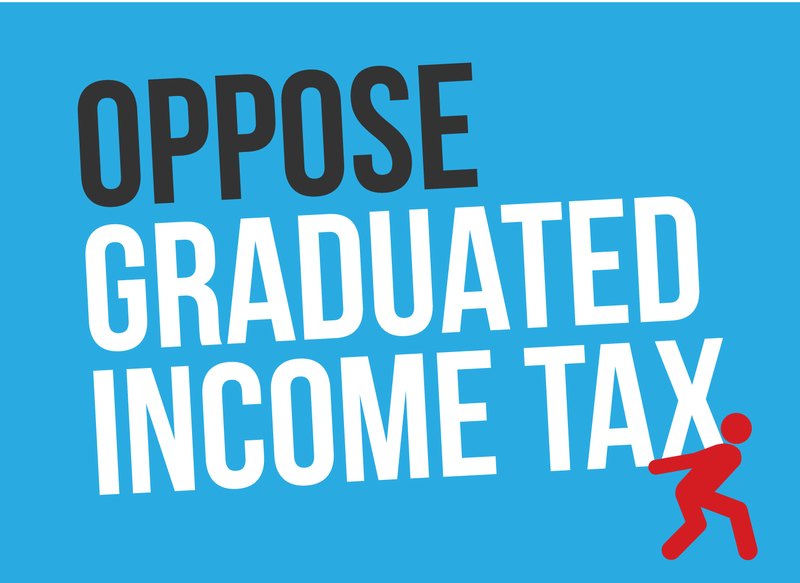 Opponents of the tax, who filed a lawsuit this week to strike it down, point out that the Chicago City Council has never voted to approve the new levy. Although the 9.0% levy on rented movies, streamed TV shows, and subscription music and games was estimated at the time of extension to bring in approximately $12 million a year, city lawyers assert that the new levy is a legitimate administrative action of the city’s Finance Department. Chicago claims that, as they already have standing to tax live entertainment, the new levy is a valid application of the existing city Amusement Tax. The lawsuit, filed by the Liberty Justice Center, has joined a crowded docket of pending actions before the Cook County circuit court. The controversial tax does not apply to customers who live outside Chicago city limits. New severance agreement law a win for transparency. Thursday, Governor Rauner signed into law legislation which will include severance and settlement agreements that use public funds under the scope of the Freedom of Information Act. Representative Margo McDermed’s House Bill 303 is a much needed win for government transparency. College of DuPage dismisses top two finance officers. The executive personnel move followed an investigative finding that the officials had overseen a weak implementation of professional financial controls. The reported derelictions were supplemented by alleged violations of the college’s investment practices. Challenges of this type, which affect the ability of a public college or university to manage its endowment funds, have taken on even greater importance in recent years with the decline in ongoing support for public higher education from general funds. Professionals affiliated with the College of DuPage manage an investment portfolio that was inventoried at $274 million in fall 2014. However, a Chicago-based financial management firm recently asked to audit the portfolio is reported to have determined that approximately 73 percent of the monies were not being managed in compliance with the College’s investment practices. Nonprofessional management of investment assets is often associated with poor investment outcomes, and even with capital losses. Affected by the personnel move, which was carried out by the College’s newly-elected “Clean Slate” board of trustees, were former College Treasurer Thomas Glaser and former Controller Lynn Sapyta. Both were connected with the departed administration of inactive College President Robert Breuder, who is currently on official leave of absence and facing procedures that could result in his termination. Breuder, Glaser and Sapyta are all initiating or taking legal actions to delay or reverse these administrative proceedings. General Assembly passes heroin bill into law. The General Assembly overrode Gov. Rauner’s amendatory veto of HB 1. Rauner approved most of the bill, but had expressed concerns about the costs of the measure to the public sector, especially to the state-funded Medicaid system. 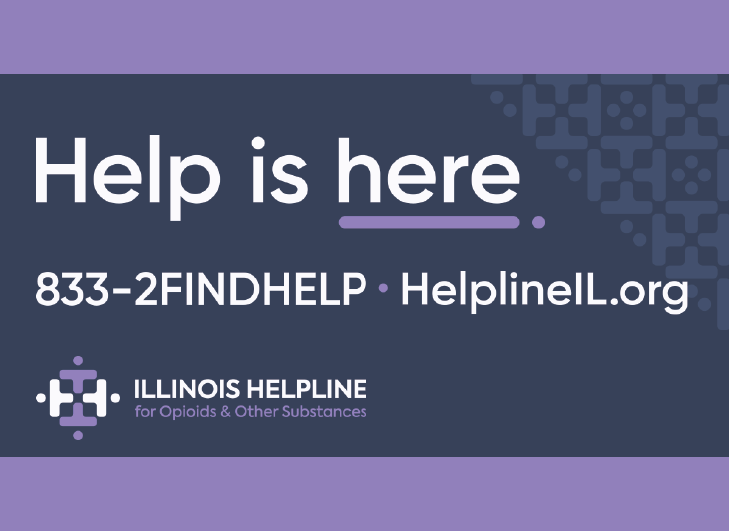 Proponents of HB 1 agreed that there would be a cost impact, but asserted that overall benefits to Illinois public health – especially the urgent need to equip more first responders with opiate antagonists – justified the veto override. Final action on the measure took place on Wednesday, September 9 in Springfield. The state Senate voted 44-11-0 to approve a motion to override the Governor’s veto. As the Illinois House had already adopted an identical motion, the action by both houses of the General Assembly cleared the way for certification of the measure as an Illinois public act. HB 1 contains measures that are intended to put opiate antagonists in the hands of first responders and save the lives of persons who have overdosed on heroin and other opiates. It also contains many provisions sought by law enforcement and the addiction recovery community to reduce access to opiate drugs, including prescription drugs used in pain management. The new law will expand access by Illinois residents, including residents eligible for Medicaid-funded health care services, to methadone and other treatment avenues when patients become addicted to heroin and other opiates. Governor Rauner blocks expansion of medical cannabis program. Under the Compassionate Use of Medical Cannabis Pilot Program Act, Illinois is scheduled to study the dispensing and consumption of medical marijuana for 39 statutorily listed medical conditions and diseases. A patient must have been diagnosed with one of these conditions, and must get an independent and arms-length recommendation from a medical physician with whom the patient has had a longstanding medical relationship, before the patient can apply to the Department of Public Health for a medical cannabis dispensary card. There are two separate pathways for additional groups of patients to seek entry into the Illinois medical cannabis system. The General Assembly can enact legislation to add an additional condition or conditions to the existing list of 39. In addition, the Act itself provides for an advisory panel, the Medical Cannabis Advisory Board, to hear petitions from patients and medical care providers and make recommendations to the Director of the Department of Public Health that additional conditions be added to the list by administrative rule. Gov. Rauner and the Department announced their decision on Thursday, September 10 to move the medical cannabis program forward unchanged, for now. A list of 11 additional potential eligible medical conditions had been forwarded to the Director for possible action, and the General Assembly had previously passed SB 33, explicitly adding post-traumatic stress disorder (PTSD) to the list of statutory eligible conditions. Because the medical marijuana pilot program is not yet actually in operation – no cannabis dispensaries are open for business in Illinois, and there is no experience yet on whether the system can be operated in smooth harmony with overall law enforcement – Gov. Rauner announced on Sep. 10 that he was vetoing SB 33. The announcement coincided with a parallel announcement from the Department of Public Health that none of the additional administrative-action eligibility conditions for legal purchase of medical marijuana would be approved at this time. Nothing in these announcements will further impede the implementation of the existing Act to provide medical marijuana to victims of cancer, HIV, lupus, multiple sclerosis, Parkinson’s disease, epilepsy, ALS, and other statutorily eligible conditions. The State continues to work with licensed and permitted cultivation centers and dispensaries to enable the legal distribution of small quantities of medical marijuana to eligible patients. More than 3,000 patients, living throughout Illinois, have been approved for medical cannabis dispensary cards. The first dispensaries may open late in 2015 or early in 2016. The pilot program is scheduled to run through April 2018. Gov. Rauner, U.S. Chamber of Commerce describe how Illinois has become a judicial black hole. The business panel’s 50-State Lawsuit Climate Survey, unveiled on Thursday, September 10, labeled Illinois 48th of the 50 states in terms of the effects of its civil litigation system on overall job creation and productivity. Only two states, Louisiana and West Virginia, ranked below Illinois in the nationwide survey. The Governor, speaking with leaders of the U.S. Chamber, revealed results of the survey in Chicago on Thursday, September 10. Data for the Lawsuit Climate Survey was gathered by asking top lawyers and executives at firms with at least $100 million in annual revenues. The high-level executive professionals were asked to grade the state where they worked or practiced on 10 legal factors including suit venue, damage fairness and judicial impartiality. The survey’s data was seen as generating additional evidence for the Governor’s “Turnaround Illinois” Agenda. Gov. Rauner has called for new rules governing where a lawsuit can be brought (venue reform), limits on who can be sued (tort reform) and limits on amounts that can be awarded for medical damages (malpractice reform). The Democratic majorities in both houses of the Illinois General Assembly have so far blocked these proposals from coming to the floor of either Illinois legislative chamber for discussions, debates, and votes. Most of Rauner’s vetoes of House bills stand; only one override approved by General Assembly. Of the 21 House bills from the General Assembly’s spring session that were passed by both houses and then amendatorily or totally vetoed by the Governor, twenty are now dead. Only one bill, HB 1 to expand heroin and opiate law enforcement and treatment options, was the beneficiary of successful “veto override” motions in both houses. This veto-override recourse, which is included in the Illinois Constitution, gives the General Assembly a final chance to enact legislation over the objections of the Governor by three-fifths majorities in both houses. In many cases, the decisions by members of the Illinois House Republican caucus to support Governor Rauner helped ensure that the vetoes were upheld. “U.S. News” sharply increases ranking of SIU Carbondale campus. The national ranking system for institutions of higher education raised the standing of Southern Illinois University Carbondale. The campus, which had been ranked as the 189th best campus in the United States, jumped to 153rd. The upward change of 36 notches was the largest increase seen in Illinois in 2015 and was one of the largest increases on the annual list. The U.S. News and World Reports Best College Rankings include a widely-followed index of colleges classified as “National Universities.” This classification covers a variety of four-year institutions connected to public and private universities, such as SIU, that specialize in research and high-level professional training. University of Chicago (U of C) scores big on “U.S. News” ranking. The private university, located on Chicago’s South Side, tied for 4th in the National Universities rankings. It was the highest rank granted to any school in the Midwest. The University of Chicago’s national ranking puts it on the same level as the Ivy League’s Columbia University and California’s Stanford. Other Illinois universities scored well on the U.S. News ranking sheet in 2015. Evanston’s Northwestern was ranked 12th, tied with the Ivy League’s Dartmouth. The University of Illinois at Urbana-Champaign was ranked 41st, tied with five schools that included Tulane and Wisconsin/Madison. 2015 fall semester sees the second-largest freshman class in University of Illinois (UIUC) history. The 7,565 incoming students that have signed up to begin their class work this fall have created a headcount that is second only to the 7,583 students of 2005. The overall 2015-16 enrollment of 44,087 – a number that includes both undergraduate and graduate students – is up more than 1 percent from the 43,602 students who signed up in fall 2014. The University of Illinois reported that the percentage of students who are Illinois residents is up from last year. Fall enrollment at the University of Illinois’ Springfield campus is also close to a record this year, with an enrollment count of 5,402 students – down slightly from the 2014 record total of 5,431. The former Springfield-based Sangamon State University was added to the University of Illinois system in 1995 to create the University of Illinois at Springfield (UIS), now in its 20th year of operation. Unpaid lottery tickets lead to lawsuit against the State of Illinois. The legal action filed on Wednesday, September 9, seeks timely payments of prizes of more than $25,000. The lack of a State budget for fiscal year 2016 has led to the Illinois State Lottery “paying” winners of significant Illinois prizes with IOU promises-to-pay rather than cash. The lawsuit was filed in U.S. federal court. Based on advice from the Office of the Comptroller, the Illinois State Lottery continues to pay prizes of up to $25,000 earned by Lottery winners on schedule, despite the lack of an appropriated budget. However, this advice does not extend to the largest prizes offered by the Lottery. In this week’s case, two plaintiffs allege that they have been prevented from collecting prizes of $50,000 and $250,000. Five-and-six-figure prizes are paid to some lucky winners from simple games such as scratch-off cards. The lawsuit seeks full payment of the contractual prize winnings plus interest, and asks that the Lottery be barred from covering its internal (administrative and operational) costs until these prize debts are paid off. Death toll rises to 10 at Illinois Veterans’ Home in Quincy. The new death toll was issued on Wednesday, September 9. Fifty-three persons who live at or are connected with the Illinois Veterans’ Home in Quincy have tested positive for the disease. The Illinois Department of Veterans’ Affairs has announced plans to disinfect the facility’s water system, hot water tanks, and air conditioning system. The federal Centers for Disease Control (CDC) has advised that these and similar moves be taken in all institutions where an outbreak of the disease is taking place. Together with the CDC, the Illinois Department of Public Health has been monitoring the outbreak of the serious illness, which is especially life-threatening to senior citizens with pre-existing chronic conditions. Legionnaire’s disease, also called “legionellosis,” is caused by the bacterium “Legionella,” named after the conclave of American Legion veterans amongst whom the bacterium was first identified in 1976. Before 1976, cases of the disease were not yet differentiated from serious cases of pneumonia. Sworn officers, neighbors mourn fallen police lieutenant. Funeral observances and a procession of honor celebrated the life of Fox Lake Police Lieutenant Charles Joseph “G.I. Joe” Gliniewicz on Monday, September 7. The 30-year police veteran was slain in the line of duty on Tuesday, September 1. Services were held in nearby Antioch. Thousands of mourners lined an 18-mile funeral procession. The mourners were led by Gliniewicz’s widow and family, by an estimated 2,000 sworn police officers from across the United States, and by Gov. Bruce Rauner. Gliniewicz’s widow and police chief testified that the veteran officer had been weeks away from retirement. Rauner, AFSCME agree to continue negotiations. House Republican Leader Jim Durkin, who a week ago stood firmly in opposition to attempts by the largest state employee union to circumvent labor negotiations, commended their leadership for moving past last week and signing the indefinite tolling agreement extended by Governor Rauner. The State has also carried out negotiations with other labor unions that represent other sectors of its workforce. A contract has been negotiated with the Teamsters Union, which represents 4,600 State workers, and a ratification vote for this contract is being held. The Illinois/Teamsters contract will cover four years of work, pay and benefits for affected State workers.